Here are the details for Phoenix Fuel Masters vs. San Miguel Beermen in Game 4 of their best-of-seven semifinals series in the 2019 PBA Philippine Cup. The Fuel Masters defeated the Beermen in Game 3, 92-90, to cut their series deficit to 2-1. Watch the game highlights as the San Miguel Beermen defeated the Phoenix Fuel Masters, 114-91, in Game 4. The Beermen leads the best-of-7 semifinals series, 3-1. 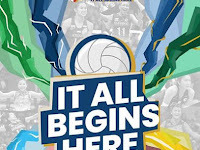 Here are the details for Petron Blaze Spikers vs. Cignal HD Spikers in Game 1 of their best-of-three semifinals in the 2019 PSL Grand Prix. Here are the details for F2 Logistics Cargo Movers vs. PLDT Home FIBR in Game 1 of their best-of-three semifinals in the 2019 PSL Grand Prix. 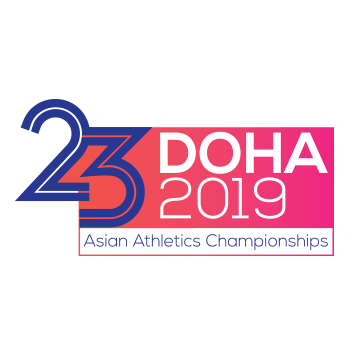 The Philippines will be competing in the 2019 Asian Athletics Championship which will take place in Doha, Qatar from April 21 to April 24. List of Filipino athletes competing in the 23rd edition of the tournament. Cray placed 5th in the Round 1 Heat to qualify for the semifinals. He placed 16th overall in the semifinals and did not qualify for the final. Diones placed 2nd in the Group A Qualification to qualify for the final. He placed 5th overall in the final. Knott placed 2nd in the Round 1 Heat to qualify for the semifinals. She placed 13th overall in the semifinals and did not qualify for the final. Lopena placed 3th in the Round 1 Heat to qualify for the semifinals. He placed 19th overall in the semifinals and did not qualify for the final. Medina placed 6th in the Round 1 Heat and did not qualify for the final. Obiena won the gold medal, clearing 5.71 meters. Sequita placed 4th in the Round 1 Heat and did not qualify for the semifinals. Toledo placed 3rd in the Decathlon 100m. He did not start in the 400m, High Jump and Shot Put. He placed 8th in the Long Jump. Vilog placed 6th in the Round 1 Heat and did not qualify for the semifinals. 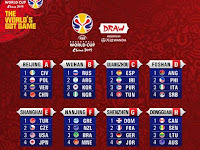 The Philippines placed 6th overall in the Round 1 to qualify in the next round. 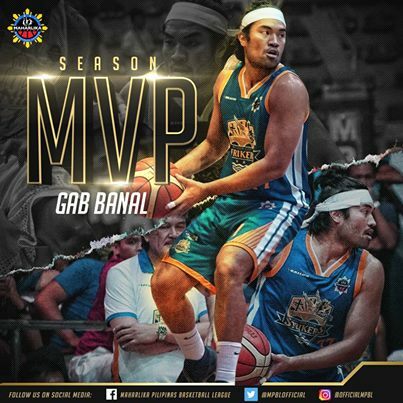 The 2018-19 MPBL Datu Cup Awards were handed before Game 4 of the National Finals between San Juan Knights and Davao Occidental Tigers on Monday night, April 22, at the FilOil Flying V Center. Take a look at the complete list of winners below. 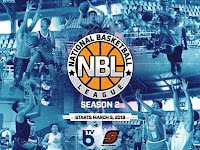 Here are the details for San Juan Knights vs. Davao Occidental Tigers in Game 4 of their best-of-five National Finals series in the 2018-19 MPBL Datu Cup. The Knights defeated the Tigers in Game 3, 67-62, to take a 2-1 series lead. 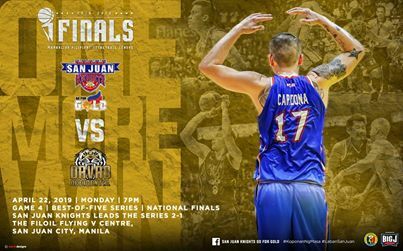 Here are the details for Magnolia Hotshots vs. 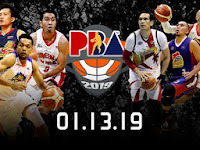 Rain or Shine Elastopainters in Game 4 of their best-of-seven semifinals series in the 2019 PBA Philippine Cup. The Hotshots defeated the Elastopainters in Game 3, 85-74, to cut their series deficit to 2-1. Watch the game highlights as the Magnolia Hotshots defeated the Rain or Shine Elastopainters, 94-91, in Game 4. The semifinals series is now tied at 2-2.